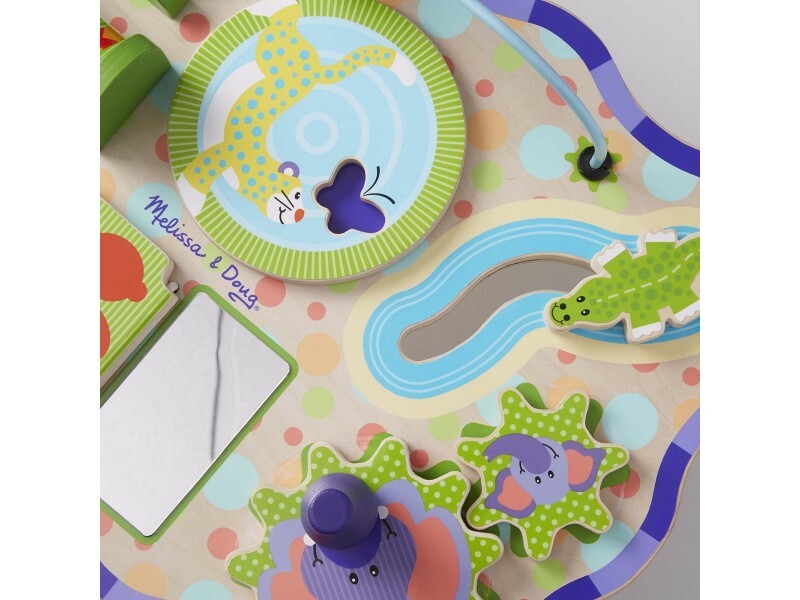 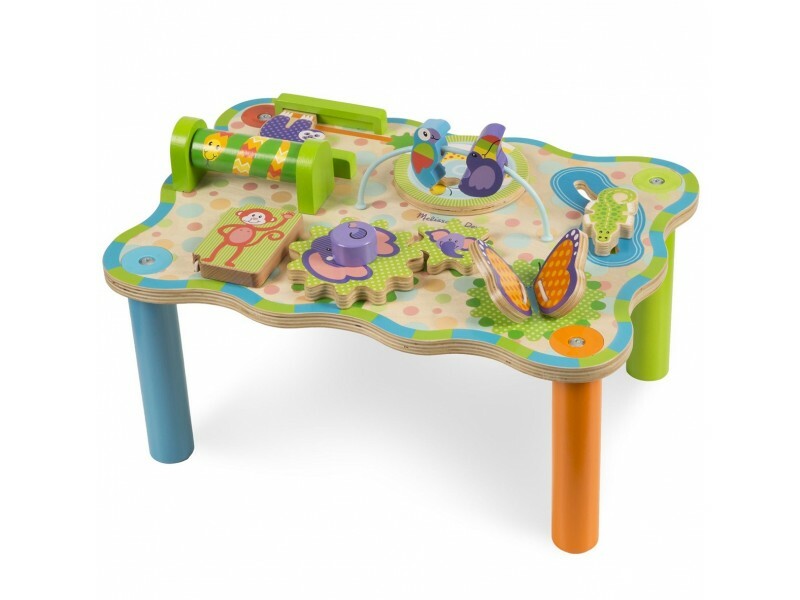 This bright and colourful wooden Jungle Activity Table is packed with important development skill activities that will keep little ones entertained for hours! 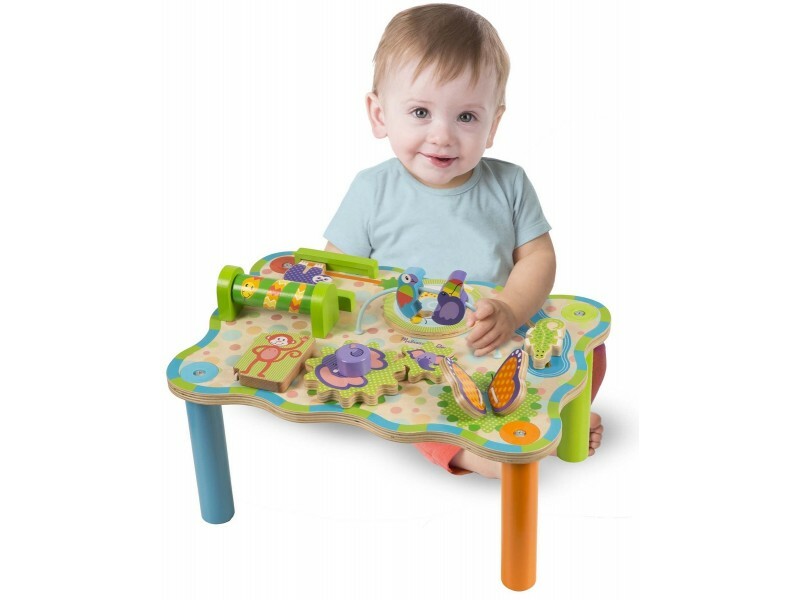 The brightly painted wooden activity table features 8 different hands-on activities to encourage important developmental skills. 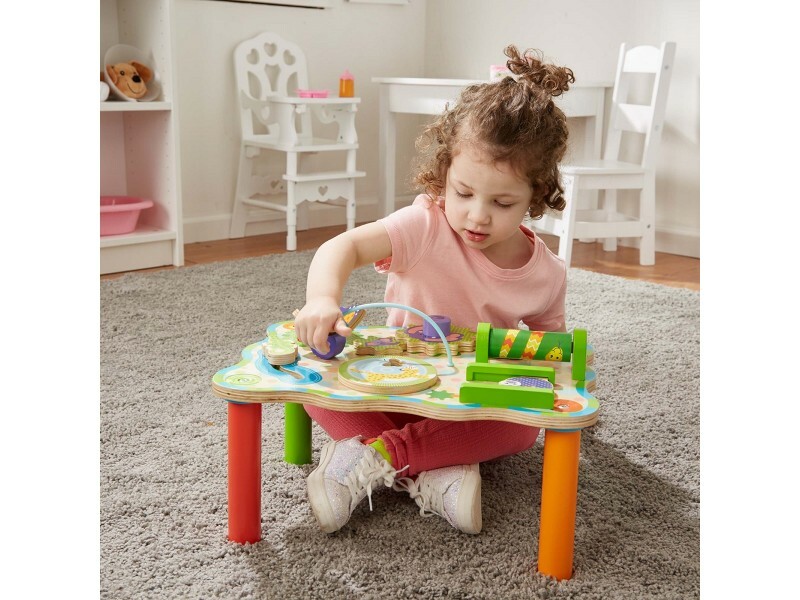 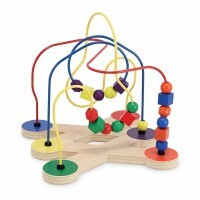 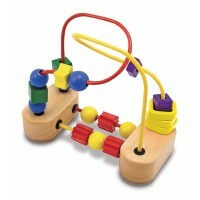 Activities include gears to turn, a tube to roll, beads to slide, flaps to open, a wheel to spin, and easy-to-grasp pieces to flip, push, and pull! 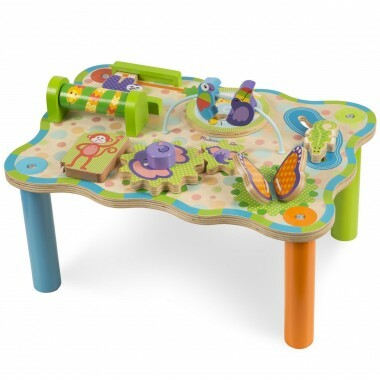 Size: 30cm x 28m x 43cm.